the return type of this calculated column is free text. Is it possible to change the group by column order? Currently its showing Overdue, Over 30, 30,15 and 7. 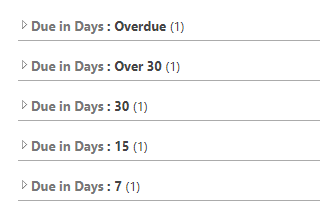 How can it be changed to follow this order: Overdue, 7, 15, 30, Over 30? Is this possible to do? Not the answer you're looking for? Browse other questions tagged sharepoint-online calculated-column-formula or ask your own question. How to wrap text in the formula field of calculated columns? 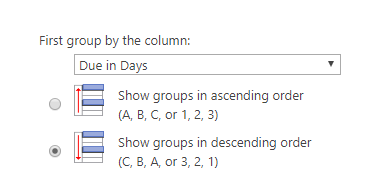 What is the workaround for limit in nested if statements in sharepoint calculated column?